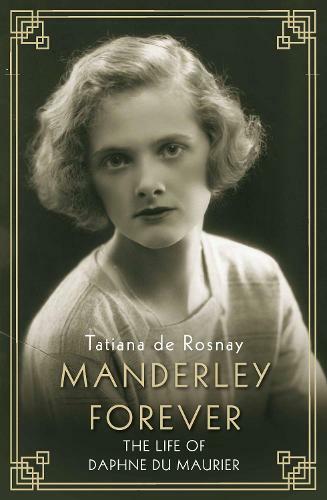 This book is essentially a biography of Daphne du Maurier, author of “Rebecca”, “Jamaica Inn” and “My Cousin Rachel”, among other novels and short stories. Whether deliberately or not, it reads very much like a novel, with a strong character around whom others revolve. The title is also significant: the locations in which Daphne lived are the sections of the novels, but the real obsession is Menabilly, the Cornish house and estate that Daphne rented for most of her life. This house has always been seen as the model for Manderley, the dominant location for the novel “Rebecca”, a strong force which almost amounts to a character in the tale of jealously and revenge. This book is far more prosaic; it tells the story of a woman for whom the drive to write frequently overcame all other concerns, and whose obsession with the Cornish coast dominated her life. I am not sure if the fact that this book is translated from French contributes to the style of writing. The bulk of the narrative is written in the present tense, which could be annoying, and the writer attributes thoughts, feelings and compulsions to her subject that no one could ever know or witness. On the other hand, de Rosnay’s knowledge of France gives a solid foundation to the passages of this book where Daphne enjoys time in France, first as a schoolgirl, then frequently as a friend and guest of Frenande Yvon. Daphne is portrayed as a woman who is attracted to female friends throughout her life; their influence on her actions and writings run throughout this book. The author described how she “described her (Daphne) as if she was filming her”, describing her clothes, her walk, her mannerisms. This level of detail is of course possible because Daphne was filmed, photographed and reported on not only for her reputation as a best-selling author, but also as the wife of an important military figure and aide to the young Prince Philip. This book depicts Daphne’s life from being favourite daughter of Gerald du Maurier, actor and writer, whose personality dominated not only his family’s lives but the social circle in which he moved. The suggestion is that he had many extra marital encounters, and his paternal relationships with his daughters became intense as they sought independence. Daphne’s marriage to “Tommy” Browning is troubled as their mutual love of sailing becomes insufficient to keep them together, as well his military career taking him abroad and endangering his life. It is only towards the end of his life that Daphne realises how other things and people have pushed him out of her thoughts. The most significant reason for this book is to tell the story of the author of such novels as “Rebecca”. While it reveals how Daphne would shut herself away to write, and how she was inspired to particular novels and stories by life experiences, it fails to give detailed descriptions of how she actually wrote them except to point out that she became inspired and wrote in a creative rush. “Rebecca” is seen as her greatest bestseller yet the one that so dominated her output that she became tired of its dominance. This is an honest book, almost novelistic in its narrative, and explains many of the elements of Daphne’s life. Though not an obviously academic book in terms of noting influences or other aspects of her writing, it is a well indexed biography which covers most subjects. I found it an easy to read book, despite my limited knowledge of her novels, and would recommend it to anyone with an interest in her writing. I must admit to not having read any du Maurier except “Rebecca” and “The King’s General”, but that is because I’m a little cowardly when it comes to fiction and this book confirms that some of the short stories are a little scary! I’m sure some people are more well read than I!